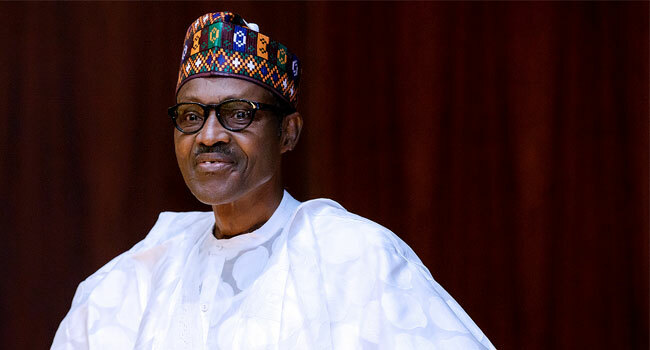 The Presidency has warned that the People Democratic Party (PDP) will reverse the achievements President Mohammadu Buhari led All Progressive Congress (APC) government has made since coming into office if it wins the 2019 presidential election. The Presidency in an article by the Senior Special Assistant to the President on Media & Publicity Garba Shehu, said what the PDP means and cost of the “Changing the Change,” is that they will mostly reverse the gains the present administration has brought the country. 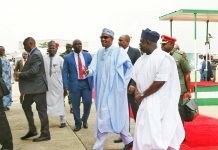 He also said the removal of Buhari will result in the return of Economic and Financial Crime Commission (EFCC) and the Independent Corrupt Practices Commission (ICPC), to the old order where they were kept as a toys, or bulldogs which teeth had been removed and assets collected returned to corrupt individuals. “The real meaning and cost of the “Changing the Change,” is that if they win the next election, they will not take us back to where we were in 2015, they will mostly reverse the progress the APC has brought to the nation. The main reason for the defeat of the PDP in 2015 was corruption. The present administration at the centre led by President Muhammadu Buhari has so far presented a corrupt-free image of itself. It has also succeeded in abolishing grand corruption at the top and as attested to by the American President, Donald Trump. The government has significantly brought down the level of corruption in the whole country. It has, however, warned over and again that corruption was fighting back”. he said. “Many who are discerning would have read this from President Buhari’s speech when he inaugurated the impressive new headquarters building of the Economic and Financial Crimes Commission (EFCC) a week ago. He narrated how and why he was overthrown as a military Head of State in the 80s”. “In that speech, he said not only was he kicked out because he fought corruption, the ones who took power freed all those that he had jailed, and whatever they stole was returned to them. 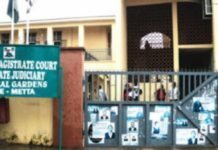 He took their place in prison and stayed there without trial for 36 months, until that day when a journalist in Benin, now in Edo, broke the story that he had lost his mother. 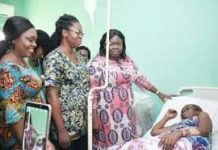 That was when he was allowed to go home”. 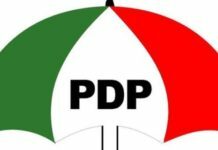 “The real difference between the PDP and the current APC administration is that although they mouthed a flood of rhetoric against corruption, in fact rightfully lay the claim of founding the institutions now in the forefront of fighting corruption as a government, the EFCC and the Independent Corrupt Practices Commission, ICPC, they had intended to keep them as toys, or bulldogs which teeth had been removed. No, they never intended that the war against corruption would be taken this far”. “In this country, politics is often considered as synonym of corruption. The previous government came under huge criticism for scandals like that discovered in arms procurements in the office of the National Security Adviser, NSA which transformed itself into a major source of funding of the PDP; NNPC crude oil thefts, broadband spectrum licensing scandal, oil subsidy scam and so many others but the present government has not faced any such corruption allegations”. 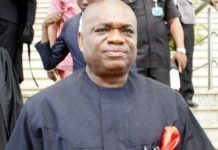 “Although he said he was unafraid and would not bend, the President’s concern, and fear on the part of many is that if a corrupt leader takes over, it will be happy days all over again for former Oil Minister Diezani Allison-Maduekwe who has so far forfeited USD 153 million, N23.4 billion, and USD 4m and USD 5m in separate accounts. “Change the Change” would mean she will get the money back. So would the former Managing Director of the maritime agency, NIMASA get back GBP 578,080 seized from him and the Ikoyi apartment owners have back their USD43.4m; N23m and GBP 27,800”. “There are many today who take for granted the declared victory over the Boko Haram terrorists, forgetting the reign of the bomber who made it almost impossible for regular attendance in markets, Churches and Mosques in many of our cities, including the Federal Capital Territory, Abuja”. 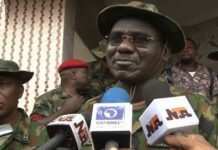 “But again, as we have seen from the heist in the national security establishment, even Boko Haram was an industry from which money was scooped. Boko Haram was the hallmark of a flourishing business of corruption. The beneficiaries won’t like that the security threat is eliminated. Yes, for them, “Changing the Change” is an opportunity for a resumption of business as usual”.